Most of the Halloween / Bon Fire night items have launched by now and I’ve looked through several supermarkets worth of goodies and found that the vast majority were all out last year. There doesn’t seem to be anything truly new around, nothing that got me all excited. You can put a “new” label on these New Cadbury Mini Bon Fire Logs, but at the end of the day they are Mini Rolls, with a honeycomb flavour ie not properly new. I have to give them some bonus points for the packaging as that is rather pretty and did catch my eye on the shelf. I unwrapped the first one and the sugary smell of cinder toffee hit me immediately, and it did make me smile. 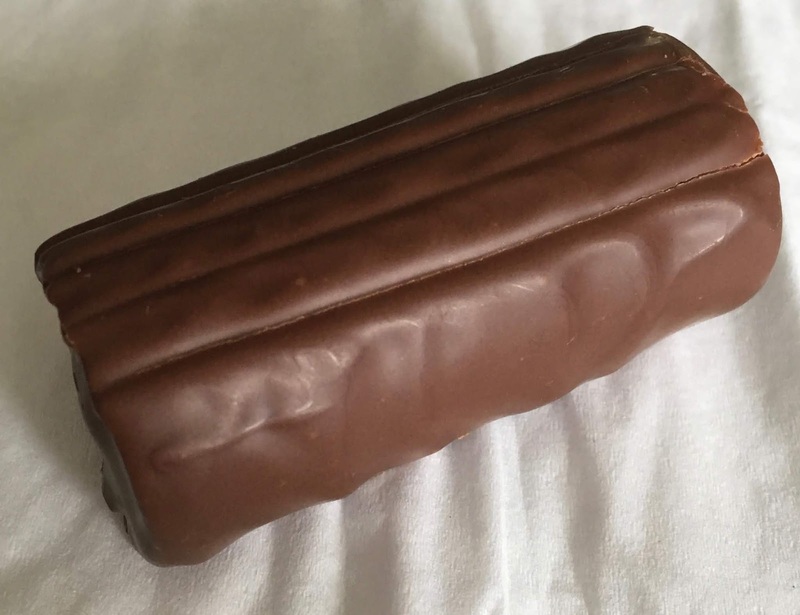 The cinder toffee flavour was sweet and rich and worked well with the chocolate coating. The sponge was light and soft to eat, and the Mini Bon Fire Log only lasted a few sweet bites. I did like the cake bar, and I did enjoy each mouthful. 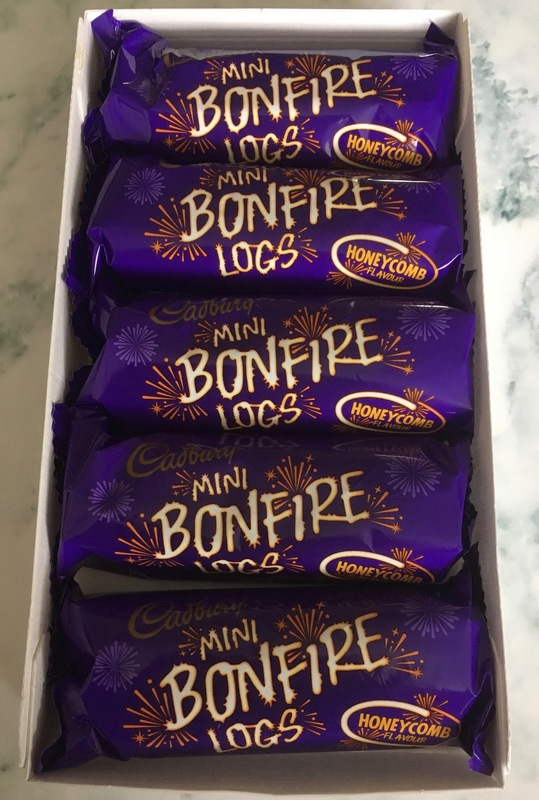 So despite the lack of creativity I’m sure these Cadbury Mini Bon Fire Logs will go down well at Bon Fire parties or even as gifts to Trick or Treaters this Halloween. They are individually wrapped too so will work well in lunch boxes. I just have my fingers crossed for something truly innovative to hit the shelves, a proper new flavour or something truly different. If you spot something you think we should be writing about this Autumn leave a comment in the box below.